Promotional giveaway is a clever way to attract customers that is why so many companies and businesses do contests and prize promotions? It’s an easy and clever way to better market your brand and generate a buzz about your company. Who doesn’t want to win a prize? I can tell you this: no one. Contests and prizes are great for your company for one particular and great reason. It creates a wider audience. Isn’t that what you want for your company and your product? By creating a wider audience, your idea is being spread through word of mouth—creating buzz, creating insight. In the end, establishing a contest for your company is a win-win: for you, and your audience. So what are some promotional giveaway you can host to better advertise your awesome company? I’ve got some quick and simple “first-starters” for your brand, that’ll help you create that perfect amount of surprise and great gossip. You’ve done the contest, and you’ve created the buzz. Now, what to do for the prize? You want it to be something that they can keep, and not necessarily want to throw away. Remember, this part is also used as marketing your brand. You want the prize winner to receive something they can use, and still be advertising your company. There is an easy and simple way of first doing this, and, it’s fun: customized apparel. By creating your own custom apparel, you’re creating your own advertising. By giving this away as a prize, you are still marketing your brand. This is such a simple way to enforce your brand, both through your company, and your audience. 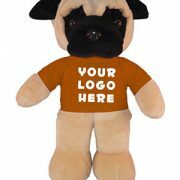 There are many promotional giveaway platforms for customizing your own brand on apparel. You can create your own t-shirt, pens, hats, coffee mugs, mouse pads, you name it! By sending these out to your audience (specifically your prize winner) you’re letting other people see your brand—thus, stimulating a future audience for your company. Not only, but customizing your own apparel can be fun! There are a wide variety of different ways of creating your own image. You can go above and beyond by even including your own embroidery on your apparel. This gives it that extra touch of something special and leaves your prize winner wanting to show others, resulting in more marketing for you. Another great example of a prize could be a free promotional giveaway of your product. By doing this, you’re letting your winner (and soon, your audience) test out a product first. This will not only give you a general idea of how your product will be, but your winner will help generate the word of mouth you need for your product, and will let you know what they think about it as well. First, decide exactly what it is you’d like to promote: your website, your product, or maybe even both? Maybe a special sale that is taking place? Once decided, you can narrow down exactly what it is you’d like your company to accomplish. Contests help with creating an email list. Usually, companies offer contests if you “sign up here” or “register here” through your website. Because of this, you create a wider audience base and have a longer list of people to contact for later prizes or sales that you have taking place in your company. This is an easy way to generate more advertising. Contests can also help you create separate advertisements within your company. With a contest, they usually require people from your audience submitting something to you, and you in return, picking whatever you think “the best” is. This could be new logo names, a new idea for your company (usually something that the audience wants to see, or see changed), or maybe the “biggest” fan of your company can win something. All in all, the contest is supposed to be fun and create a larger community based for you and your company. Because of the contest, you’re promoting, your audience will also promote it for you; through social media sites like Facebook, Instagram, Twitter, or other blogs— which is exactly what you want to happen. There is another great way of stimulating your product, and that’s by creating games for your audience and your company. Not only is this great way to spread the word of your company, but it’s fun and simple to do—everyone likes a good game to play. This could be as simple as an online game to promote your business through, but it reaches a huge number of people. The social media network is the key place to be promoting your business and reinforcing your brand, especially if you want to create a game. By creating a game, let’s say, through Facebook, you’re not only getting people to participate and get to know your brand, but you’re also receiving publicity through people “liking” your page, or possibly even sharing your page—all of which is great for your business. An awesome example of creating a game through an online source could be asking people “what they think”, or, “name this”. With the “what they think” game, you can give them a picture that may be a little blurry, something that represents your brand. Have them guess exactly what it is. With the “name this” game, you can give them a trivia question or fact, and have the participants send you what they believe the answer to be. This gets people involved in your brand, and essentially, creates good gossip and builds a contact list for you. After you’ve created your first promotional giveaway for your brand and selected the best prize for your winners, you’ll be receiving great attention for your company. Not only is this a brilliant and fun way to promote your product, but it’s also simple and easy! By completing the contest and games, you are also bringing your company together as a team: stronger, and more compact. With a goal in mind, a fun contest, prize, and game to create, you are essentially pulling your team together, and creating a better and more complete team. Creating these types of promotional giveaways for your company will generate a good buzz you need for your product and your brand, and will leave your audience happy, as well as your company happy. Like I said before: win-win. Julie Hartwell is a freelance writer who loves anything to do with the arts, design, and effective business marketing. When she’s not embarking on her own creative adventures, you can find her on her on twitter.